With this month’s food feature, we travel back to our youth when fennel was a staple in our diet. Sometimes it was featured as a salad and other times it was our dessert, accompanied by fruit. An annual favorite was a cookie containing fennel seeds. These cookies were baked every November to celebrate San Martino, who is the patron saint of wine making and the wine making season! 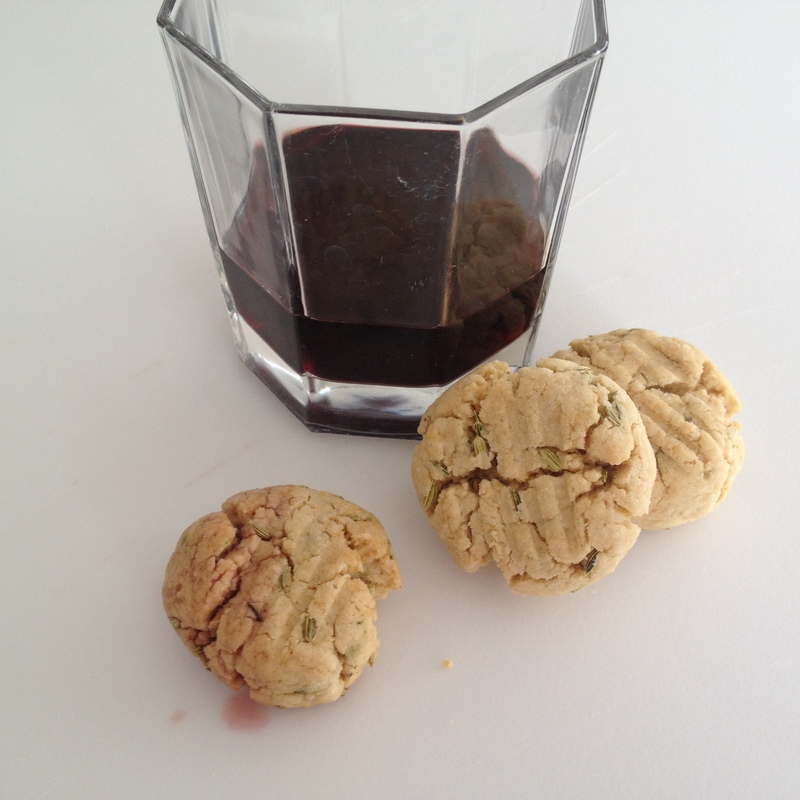 These biscotti-style cookies were double baked to make them hard and dunkable in wine. Yes, it is true that kids got to dip them in wine, too! We recently baked an updated, slimmed-down, gluten-free version. Check out the Fennel Biscotti recipe if you’d like to try them. 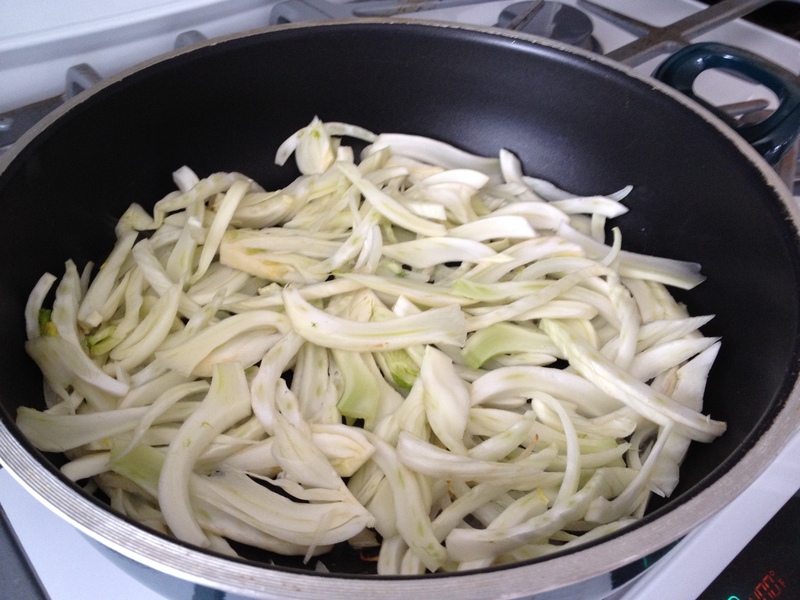 In more recent years, we’ve expanded our culinary experience with fennel by cooking it more often than eating it raw. It’s a great vegetable that can be sautéed, steamed, baked, and shredded as filler for turkey meatloaf or wraps. In many ways fennel is the Mediterranean version of celery as the two have the same texture. However, fennel has a sweeter taste with an anise or licorice flavor. 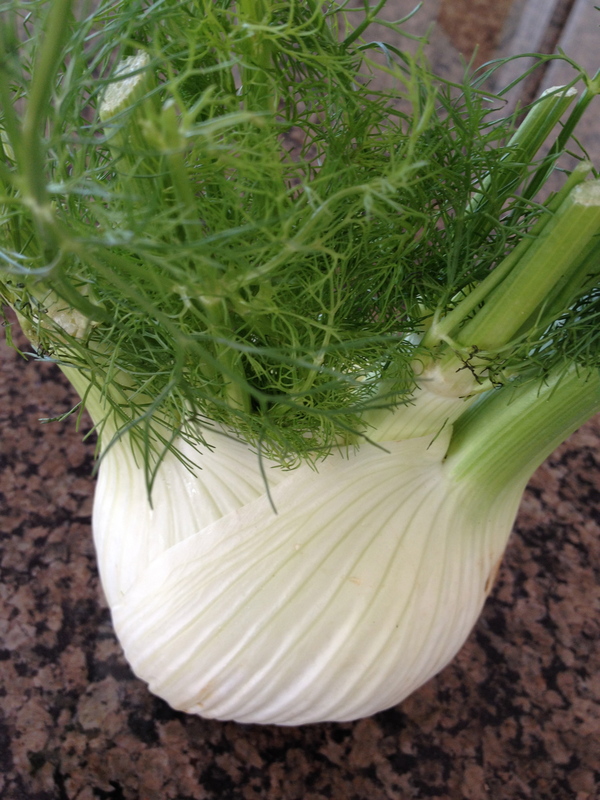 The Florence species of fennel grows as a bulb with long stalks that look like celery, is white and pale green, and has green, dill-looking leaves. Almost every part of the fennel is edible, with some parts being a bit more tough. The plant part can also be used as garnish and seeds are produced from flowers on the plant. These seeds are also used for culinary purposes. When eaten raw, the bulb is the tastiest. To eat raw, simply cut off the stalk close to the bottom of the bulb and cut the bulb into 2-inch wedges. Each layer of fennel now easily separates so you can eat like a piece of celery. There is a core that keeps the layers together, which is also edible but some people don’t like it because it’s hard. Seeds produced by the fennel plant are dried before they are used for cooking. For some recipes the seeds are ground and used as a spice. 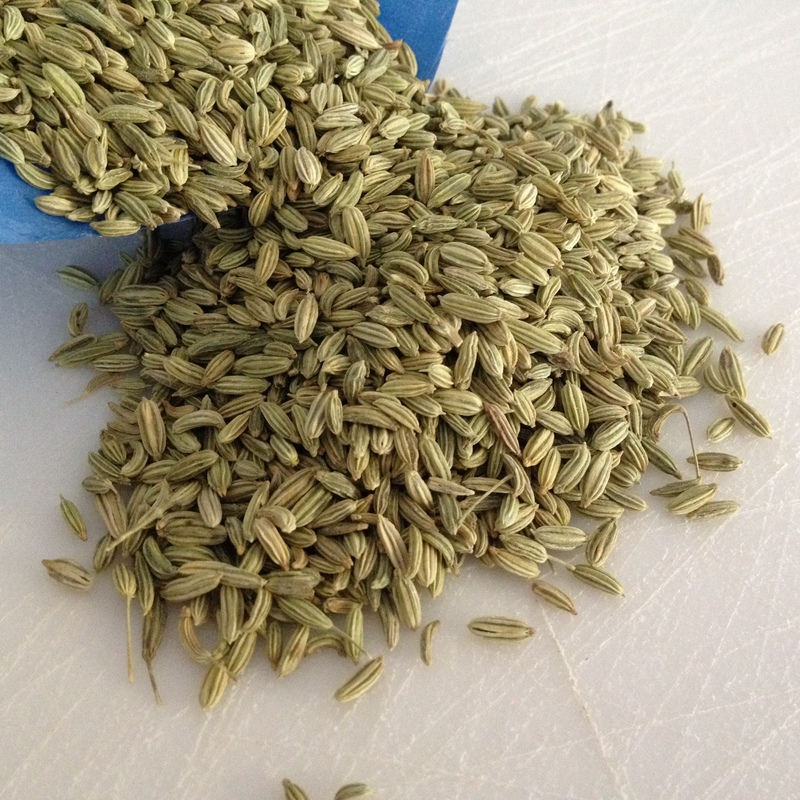 Fennel seeds are also used for making teas and for medicines. The teas and medicines are said to help with digestive and intestinal issues. Contains a good source of calcium, pantothenic acid, magnesium, iron, and vitamin B3. Support eye health, brain health, and skin integrity. Whole Foods Market has a wide range of fennel recipes from which to choose. Canadian Living Magazine also features fennel in many of its recipes. We’ve picked two recipes that illustrate the diversity of this great vegetable, besides using it in a salad. Be sure to also check out our Recipe of the Week. This is a slightly different version of an old time Sicilian favorite that our mom used to make. 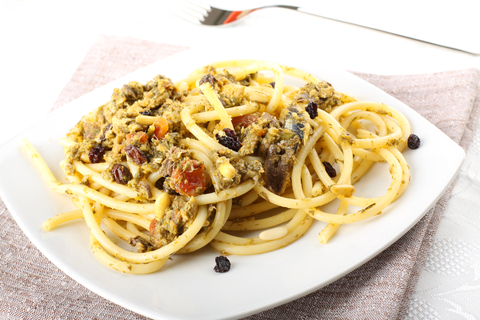 In this version, Canadian Living uses anchovies instead of fresh sardines. You can make this recipe with soba noodles if you want to create a gluten-free version. 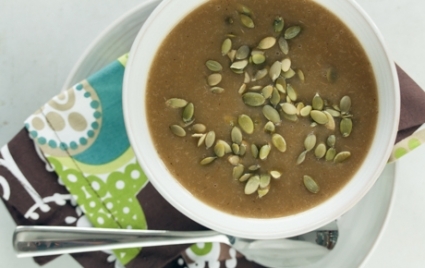 A tasty soup that requires only a few great ingredients to make. The tartiness of granny smith apples and the sweetness of the fennel make for a great combination. Have you entered our 1st Anniversary Contest yet? We’ve got great prizes and it’s open until April 30th! This entry was posted in Contests, Recipes, Weekly Blogs and tagged biscotti, fennel, fennel seeds, San Martino, wine making season. Bookmark the permalink.